Roshan and Josh’s destination wedding was nothing short of perfection or as the bride remarked, “Everything I dreamed it would be.” The couple truly wanted this to be a party, and that it was. The wedding was set in a warehouse-style venue. The light poured through the large windows of The Annex, giving an elegant backlit aura to the couple as they stood hand-in-hand and said their “I do’s.” The perfect backdrop to the late night dance party. The celebration started with a lovely ceremony lead by Roshan’s aunt. The room was brought to a mixture of laughter and tears as Roshan and Josh read the vows that they wrote themselves. In a truly unique and beautiful fashion, the couple dipped their fingers in honey to signify their sweet beginning. 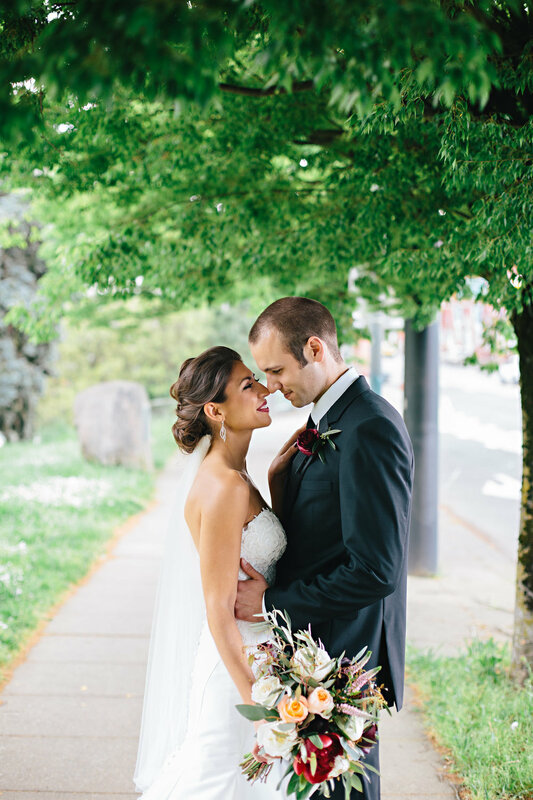 As a destination wedding, Roshan and Josh incorporated a special nod to Portland. They used the silhouette of the Portland-Oregon sign in several ways – on the guest’s place setting card, as a stencil for a gobo light that projected ‘Roshan & Josh’ on the dance floor, and on the top of their wedding cake. The color palette for this wedding was a romanic hue. Navy for the bridesmaids’ dresses and the groomsmen’s ties, maroon for the groom’s boutonnière, and a mixture of maroon, dusty rose and white were arranged in the bride’s bouquet. An exquisite white orchid floated in a glass flute was an elegant centerpiece that complimented the many white flowers throughout the special day. 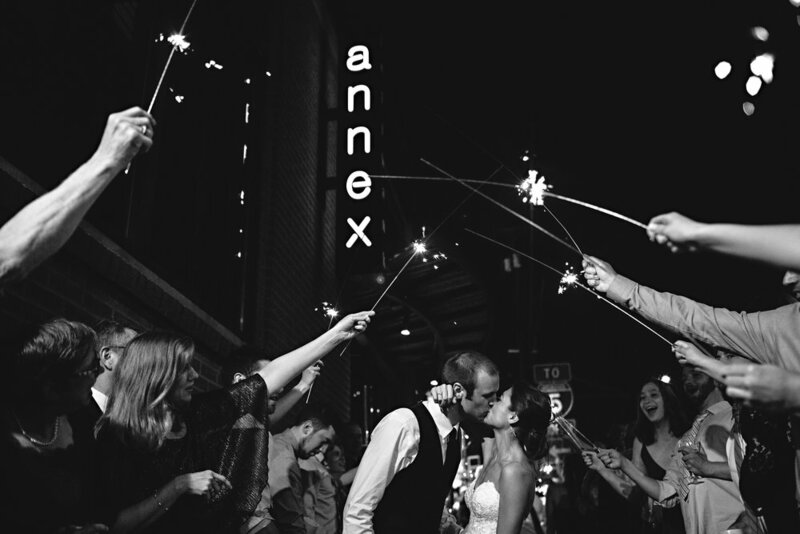 Laughter, cheers, excitement, and sparklers concluded the reception and signified the beginning of the after party, which lasted until the early morning hours.